You reach the peak of the Schafberg (“sheep mountain” 🙂 ) via a cog railway. 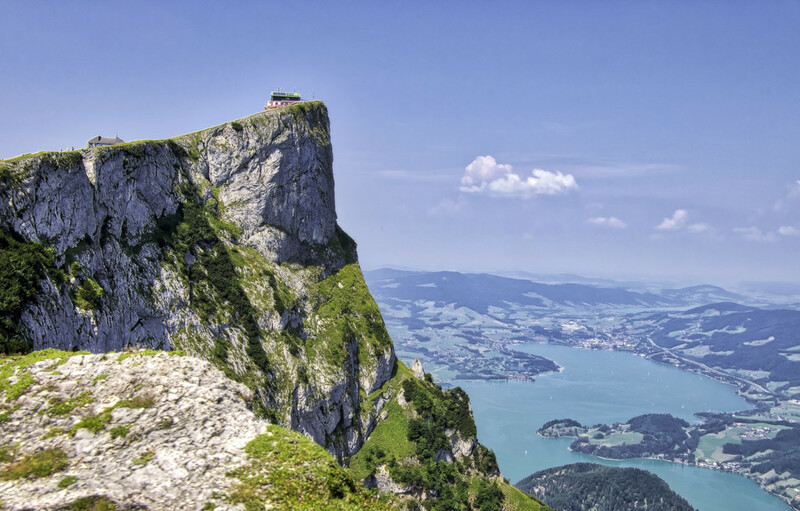 On the summit, you get a 360-degree view of mountains, valleys, and lakes of Salzburg. I took a trail between mountain peaks to get some photos of the steep scarps. You have to be careful, the unprotected paths have on one side an abyss of hundreds of meters and on the other side steep rocks and alpine meadows. So I positioned with regard when taking the photos.